But I prefer to use the term children when explaining what abortion does — i.e., it kills children. Why? 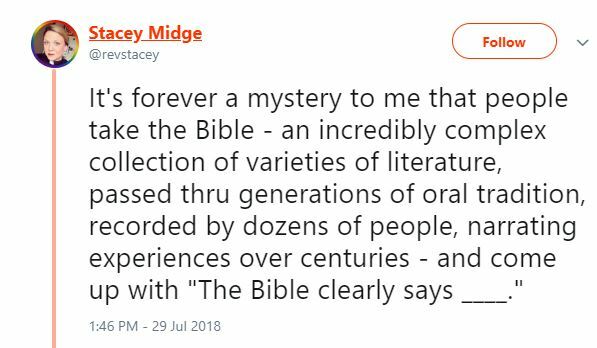 Because it is more precise and it baits the pro-aborts into denying what the dictionary clearly says (even if they don’t realize it yet). Pro-aborts — especially those from the “Christian” Left — usually balk at that term. Those ghouls are far more extreme than the average “pro-choice” person, as the former insist that life begins at the first breath and concludes that you can kill a child at any time until she is 100% out of her mother. So they hate it when you refer to the unborn as children and they pretend that the word is being misused. But what do the nice folks at Dictionary.com have to say about the term children? Is it legitimate to use that to describe the unborn? Yep. Just because it isn’t the first use of the word doesn’t mean it isn’t accurate. 2. An unborn infant; a fetus. 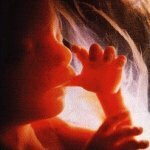 I’ve always noted the scientific fact that the unborn are human beings from fertilization. Check out any mainstream embryology textbook. When pro-aborts say it is “just” a fetus (or embryo, etc.) I note that the fetus in question is a human being at a particular stage of development: Human embryo ==> human fetus ==> human baby ==> human toddler ==> etc. Always human and always worthy of protection. But going straight to calling them children is both accurate and effective. So please use children as often as possible when describing what abortion does. It has great rhetorical force, it baits pro-aborts into having to agree with the term or showing how they have to disagree with the dictionary to make their case, and it helps demolish the anti-science, anti-God “just a fetus” arguments. Out of control censorship on Twitter. And Facebook. And . . . 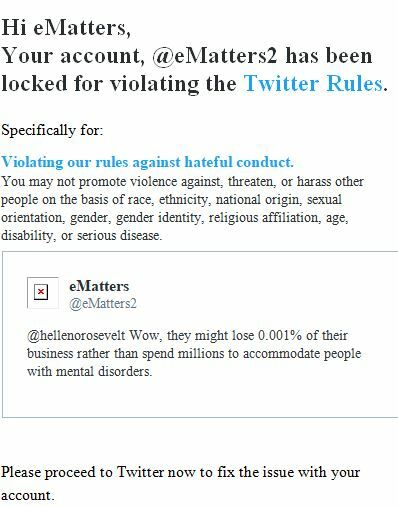 So saying that “trans” people have mental disorders gets you banned from our mainstream social media, but the endless hate spewed by Leftists is just fine. We all know I could give endless examples just from the comments on one Donald Trump Tweet. And Twitter has just been caught with evidence of shadow banning, where they don’t officially ban you but they ensure that only your followers can see your Tweets. See Twitter Shadowban Test to see if it has happened to you (it is usually just those conservatives with lots of followers). They were already busted by James O’Keefe and Project Veritas for claiming that was their model, and now there is a way to prove it for individual accounts. And Facebook has been radically throttling back traffic on conservative sites. And Apple still won’t put the http://www.gab.ai app in their store because of “hate speech” (by which they mean free speech, of course). In other words, all of Big Tech is working overtime – and especially so since the 2016 election — to ensure that conservative speech is silenced. These are just more reasons to support alternative platforms and stop feeding the beasts. And not just because of censorship. These other platforms are much, much better for privacy. Do it now! I’ll wait here. Fortunately WordPress hasn’t succumbed to censorship. By the way, “trans” people most certainly have mental disorders. See These People Are Crazy: The Other McCain. We all agree that something is wrong with “trans” people. Normal people say the mind is wrong, Leftists say it is the body. If Bruce “Caitlyn” Jenner really is a woman, then Karen Carpenter really was fat. If you are going to believe the nonsense that the mind trumps the body then you should be consistent. Leftist pervert logic: Girls wanting bathrooms with just girls are haters, but boys who only want bathrooms with girls must be accommodated. Those are facts, not hate. But the truth sounds like hate to those who hate the truth.